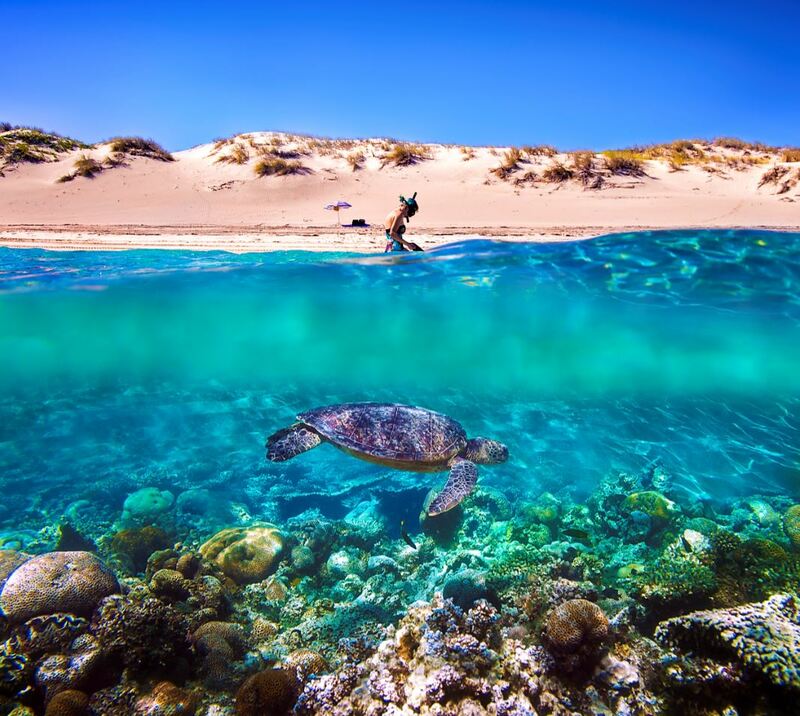 Located along the world’s largest coral fringing reef system, Ningaloo Marine Park, lies the popular diving location Exmouth. 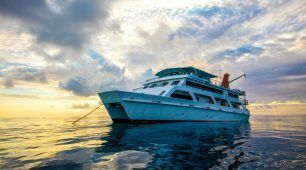 Scuba Dive trips in Exmouth are highly sought as you’re able to explore the tropical waters of the Ningaloo Marine Park a World Heritage Site. 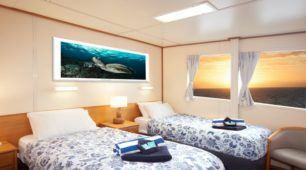 You’ll swim with the reef’s diverse inhabitants, including Humpback whales, manta rays and dolphins. Diving in Exmouth is ideal no matter when you visit, but there are many seasonal visitors that will make your trip even more spectacular. Many people choose to visit Exmouth from June to November as Humpback whales frequent the water while giving birth. Although manta rays will be seen any time you visit the area, from May to November they can be seen in high numbers. When visiting in November, you’ll see marine turtles begin their nesting; whereas, when you visit in January, you’ll begin to see the hatchlings. No matter when you go on an Exmouth dive trip, you’ll be surrounded by more than 250 species of coral and over 500 species of fish. 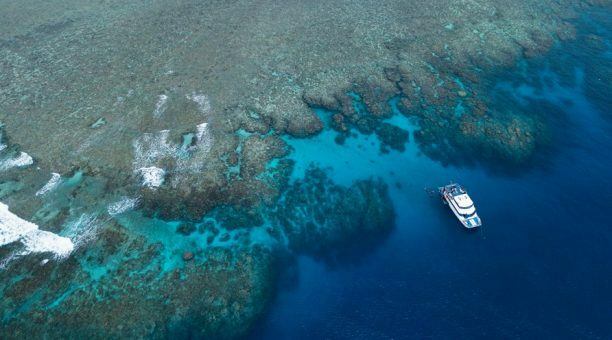 This impressive diving destination offers world-class adventure you won’t find anywhere else. Dive trips in Exmouth are often taken at Navy Pier, which is rated among the top 10 shore dives. 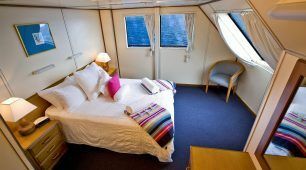 Here, you’ll be surrounded by a variety of large fish, including trevally, barracuda and fire fish. Many claim diving Navy Pier is like diving in an aquarium due to the vast marine life and pristine water conditions. 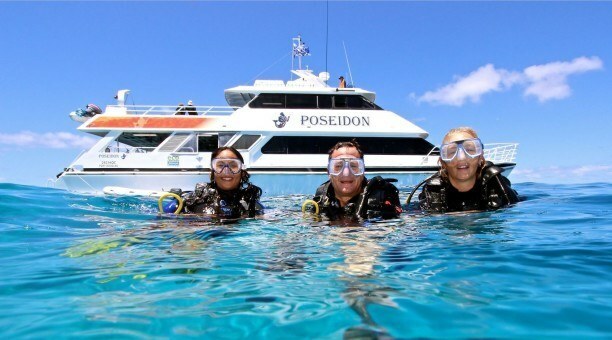 This dive site ranges from shallow to moderate depths, perfect for beginner and experienced divers. The warm tropical waters between the two islands hosts untouched marine life as the islands are uninhabited. 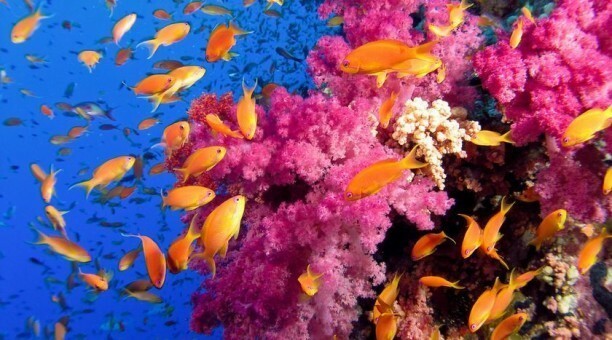 You’ll swim through coral gardens, while becoming one with the marine life. Lighthouse Bay is an excellent diving location as it includes Blizzard Reef and the Labyrinth and Helga’s Tunnels. The perfect coral formations are home to an abundance of tropical fish and reef sharks. You’ll find unmatched adventure as you swim through the tunnels and explore the coral gardens below. Scuba Dive trips in Exmouth are offered to beginner and advanced divers, so you’re certain to find a scuba dive site that’s perfect for you. 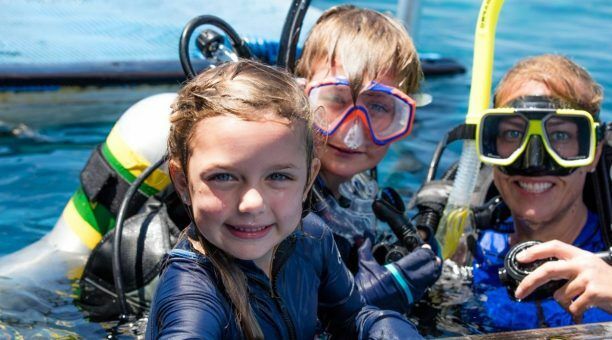 To begin exploring fantastic coral formations and swim with marine life in their natural environment, book your Exmouth scuba dive trip today!